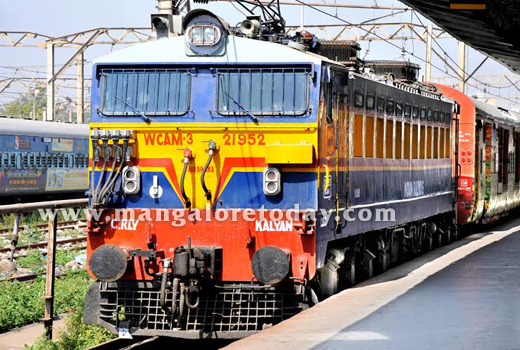 Mumbai, Dec 18, 2015 : The Railway Department has announced two special trains namely Ahmedabad-Mangaluru and Mumbai-Central Mangaluru trains on the Konkan Railway route for the convenience of passengers in view of the Christmas and New Year Festivals. Train No. 09415 Ahmedabad-Mangalore Weekly Superfast Special train will leave Ahmedabad at 4.50 PM on December 24 and December 31, and will arrive in Mangalore at 6.15 PM the next day. Train No. 09416 Mangalore-Ahmedabad Weekly Superfast Special train will leave Mangalore at 9.30 PM on December 25 and January 1, and will arrive in Ahmedabad at 12.20 AM on the third day. Train No. 09009/09010 Mumbai Central Mangalore Weekly Superfast Special train (via Vasai Road) will start from Mumbai Central at 9.15 PM on December 23 and December 30, and will arrive in Mangalore at 7.15 PM the same day. Train No. 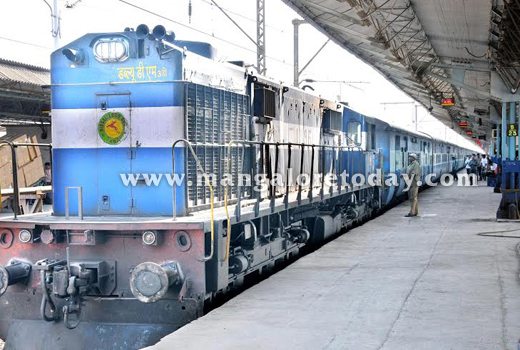 09010 Mangalore-Mumbai Central Weekly Superfast Special train will leave Mangalore at 10.30 PM on December 24 and December 3, and will reach Mumbai Central at 7.25 PM the next day. 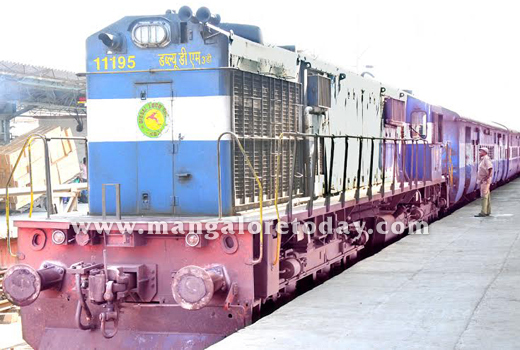 Railway Yatri Sangha, Udupi President R L Dias, Honorary President of Borivili Railway Yatri Sangha Virar Shanker Shetty, its President Shimantur Udaya Shetty and General Secretary Leela Shetty who have expressed pleasure over the introduction of the new train services, have requested the public to make the best use of the same.